Seale & Associates are urgently seeking Businesses to Sell from $50k to $5million. We have HUNDREDS of buyers looking for businesses in Bunbury, Busselton and the South West. If you are thinking of selling your business, contact Adrian Seale for a no obligation free appraisal. I have yet to meet a seller who was not concerned about the selling price and confidentiality. Seale & Associates requires all buyers to execute a confidentiality deed for EACH BUSINESS they review. As a Licenced Business Broker I am bound by the legal and ethical requirements of the Real Estate & Business Agents Act to ensure I maximize the selling price for each business or property I market for sale. The task is to get the most, not get the least. 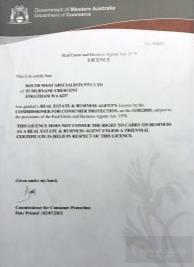 ONLY A LICENCED BUSINESS BROKER CAN ACT ON BEHALF OF A SELLER. Balancing this is the need to actually “make it happen”. Putting a ridiculously high price on a business or property will never have it sold. Conversely offering a business or property under its true market value is just unprofessional. My experience and professionalism is your guarantee that we will always act in your best interests to get the desired outcome. As agents we are bound to ensure that pricing and terms of the agreement to sell are in writing. The real secret of our success is the in depth analyse we perform on every business we sell. Request our Seller’s Guide below for a detailed understanding of the steps we take for every one of our clients. Fill in the enquiry form and get a free copy of our eBook Selling your Business PLUS we’ll send you our regular business listings and newsletters. We promise not to spam you. Yes Please send me a free copy of Guide to Selling your Business for the highest amount in the quickest time. We have hundreds of buyers on our database of buyers, buyers who we know are genuinely seeking to purchase a business and in most cases we know exactly their criteria in terms of profitability, location and type. When you choose us you automatically gain this opportunity. The benefits of using a local broker is that we know the buyers, the correct highest market price and with my expertise on your team can make a quick sale a reality. As a Chartered accountant I have an excellent relationship with all the accounting practices in the South West, some I have been dealing with since I came to Bunbury in 2004. as a Chartered Accountant and Certified Practising Accountant (CPA) I am confident is saying that I am respected for my ethics and presentation of a business. 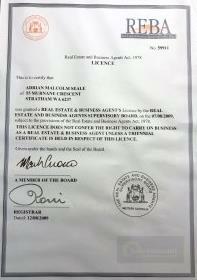 It is most common that I am appointed by the seller to broker (negotiate) a sale. I act for the seller, taking away the stress of how much to price the business as well as all the myriad of complications a business sale can place. Some businesses may require a lot of presentations, time an owner does not have, if the business is not going to suffer. The secret to getting the maximum selling price is simple. Get the price right market price. Our extensive experience in business sales and our library of 100’s of sales gives us the information to know exactly what the market will pay for your business. So there is no chance of leaving 10’s of thousands of selling price dollars on the negotiating table and base it on the full features and benefits it offers a new owner. Any broker can sell a business quickly , the solution to this is simply have the lowest selling price. We believe that a sale at the best market value needs to have a realistic time frame to ensure maximum exposure, maximum interest and ultimately competitive offers , even multiple offers which we handle quite regularly each year!!! All the better for you the buyer. We pride ourselves on the maximum sale price in the quickest time possible using our high profile web site and extensive database of buyers.